Who Are My Competitors And What Do I Need To Know About Them? Knowing your competitors in business and what products they offer, is what helps your business stand out. “Who are my competitors?” is an information that every serious business seeks. This information is helpful because your startup can set its product pricing better in the marketplace and create better marketing campaigns in the process. The marketing strategies that you can create as a result of your knowledge about your competitors will attack any weaknesses that your competitors have in the marketplace and your business performance will skyrocket as a result. Assessing threats posed by current competitors and new entrants in the market is also vital to the success of your business. In this article, we want to explain what you need to know about your competitors in business and how you can utilize that information to your advantage. Let’s be real, there is no business without a competition today. For example, even if you live in a small town and you own a steakhouse, you still need to compete with bars, movie theaters, and other related businesses where your customers want to spend cash. But, with the increased usage of the Internet as a place where you can purchase products and services, you’re no longer competing with local businesses only. You are also in competition with businesses from other cities, and other countries too. Your competitors might be some new entrants into the marketplace or offer similar products to yours that can reduce the sales of your product as a result. But, competition is not just about taking away money from you. You can also gain a lot of capital and market share if some of your new competitors want to sell their products with your help or want to sell their companies to yours. That’s why you need to have a constant market research process for new competitors. What do I need to know about my competitors? Financial capital and resources of your competitors. How can I utilize the information about my competitors? The information gathered about your competitors needs to be evaluated first. This process will let you know if there are any gaps in the marketplace that your competitors failed to fill. Those are the exact places that you can exploit. On the flipside, your market research report will indicate if there’s too much saturation in some market segments which implies that you need to direct your focus elsewhere. Make a list of every information that you’ve found about your competitors. Then, categorize the information. What can you learn from your competitors? Can you do something better than them? Is there something that they’re doing worse than you? 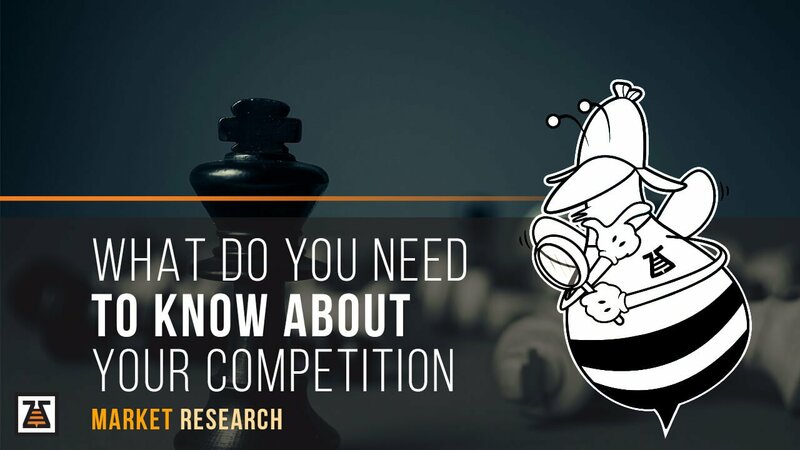 Need help with competitor research? Check out our 6-step approach. To conclude, learn from your competitors and become better than them. If you know that something works well for them, you might as well bring that to your organization. This can be anything from updating your product features to pricing packages and improved customer experience. It about innovation, not imitation.